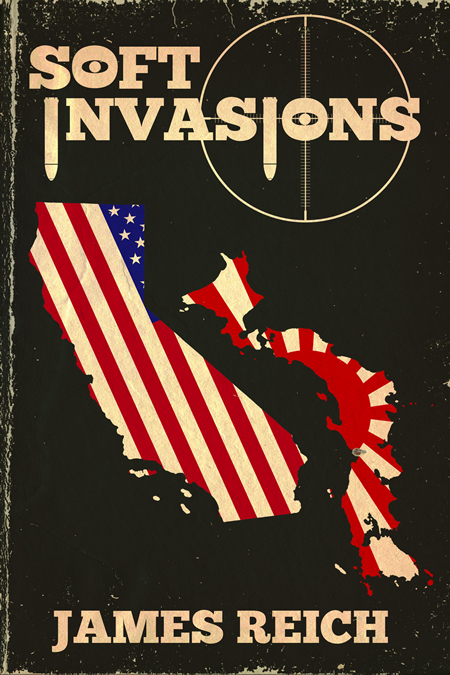 Punctuating great American fears, James Reich targets the zones of recent history where worlds and anxieties collide, among them UFOs, the Battle of Midway, Hollywood, psychoanalysis and Japanese internment. Soft Invasions is an existential thriller about cowardice, cruelty and betrayal that invokes David Cronenberg's body-horror classics as well as the cold California glamor of Joan Didion, the ominous noir of Horace McCoy and the psychic angst of Norman Mailer. JAMES REICH is the author of several books, among them Mistah Kurtz! A Prelude to Heart of Darkness, Bombshell and I, Judas. A regular contributor to The Rumpus and Fiction Advocate, he has published fiction and nonfiction in Salon.com, International Times, The Nervous Breakdown, Sensitive Skin, Sleeping Fish and others. Reich is the editor-in-chief of Stalking Horse Press as well as a founding member of the band Venus Bogardus with vinyl and CD releases on independent record labels in the US and UK.